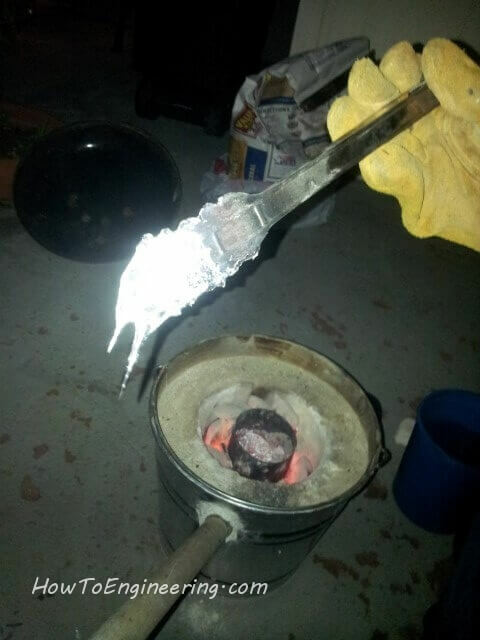 I build a smelter for aluminum. 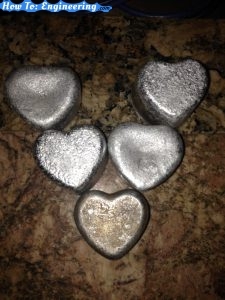 I melt aluminum cans (and other aluminum) into ingots. This is all the parts needed to build the metal smelter. Lay down a drop cloth / tarp. this mix takes 15 minutes to start to harden, so hurry. 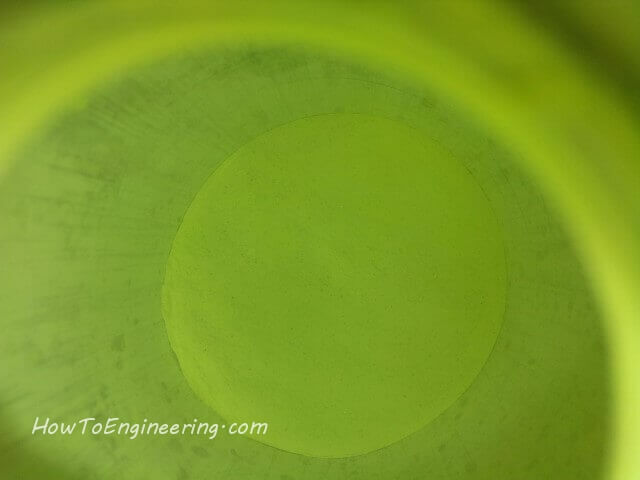 Fill up metal bucket to 3″ below the top rim. 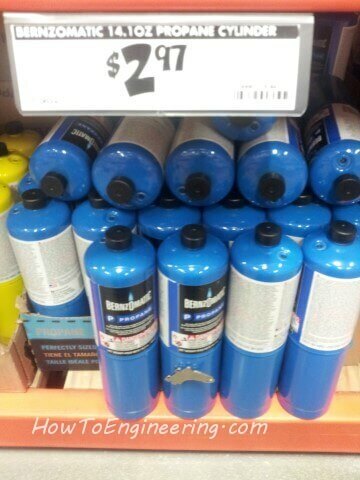 Then push in the 2.5qt. bucket into the center. 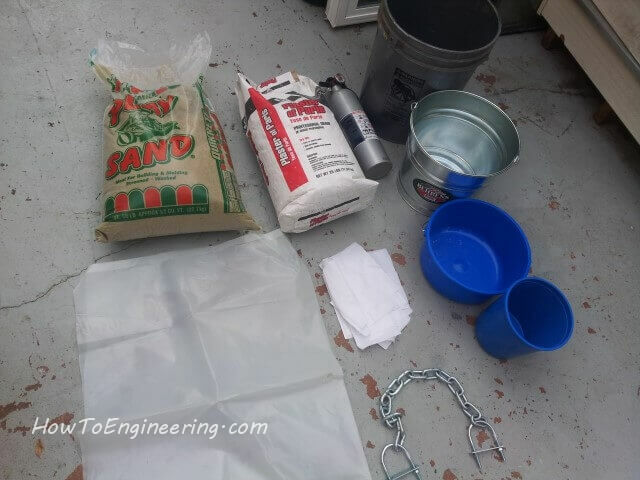 Fill the 2.5qt bucket with water so it doesn’t push out. This creates the area in the center for the coal and crucible. 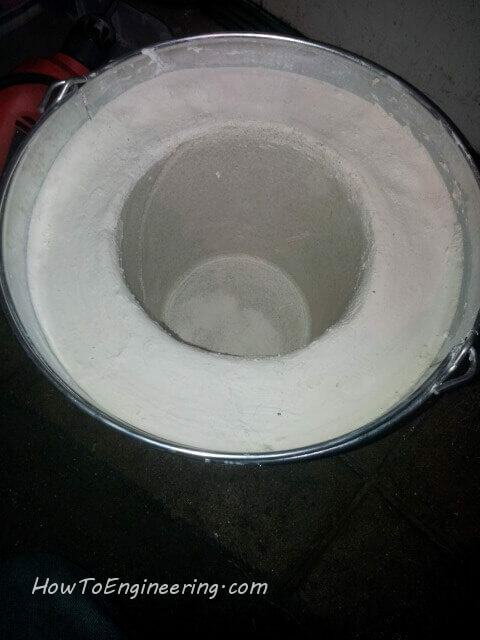 Push the bucket up and down gently to allow it to settle correctly. Then hold still for about 3-5 minutes. 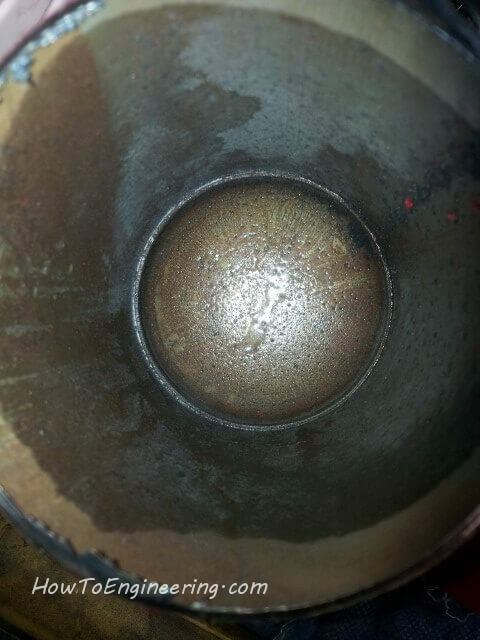 Now is a good time to wipe the metal bucket clean from any splash before it dries. Now let it dry for 24 hours. 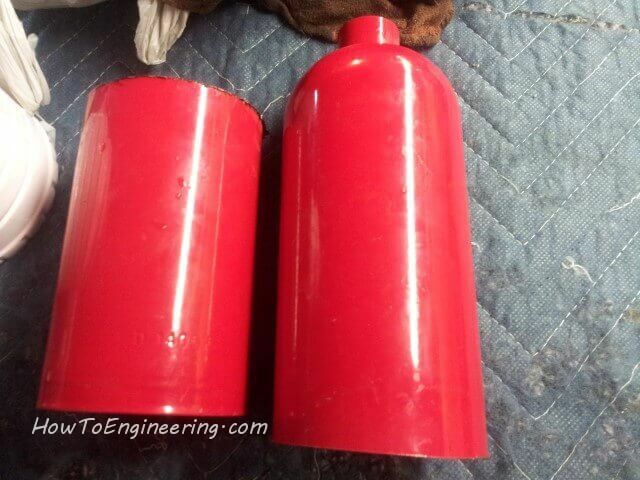 Its a good time to cut the fire extinguisher to 5″ tall for the crucible. 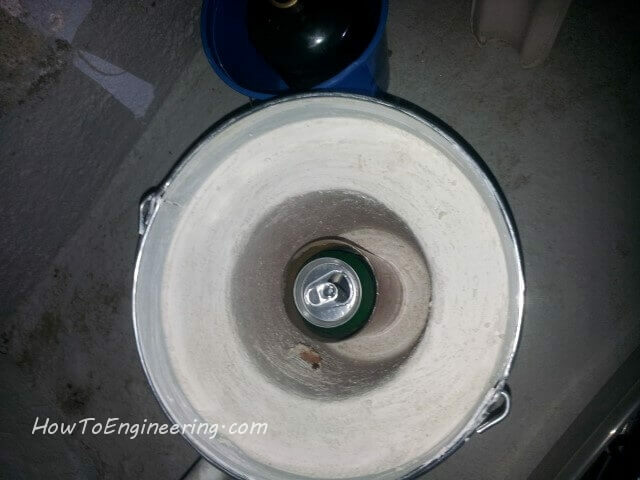 Now you can pull out the inner plastic bucket, use pliers and twist it out. 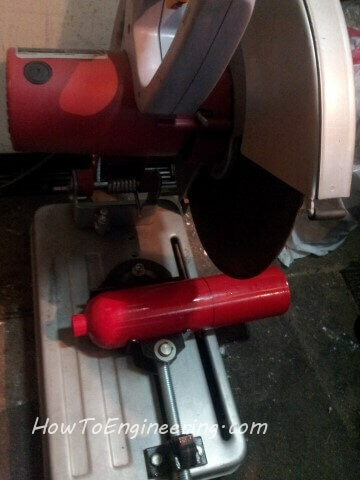 Then drill the hole for the air inlet. 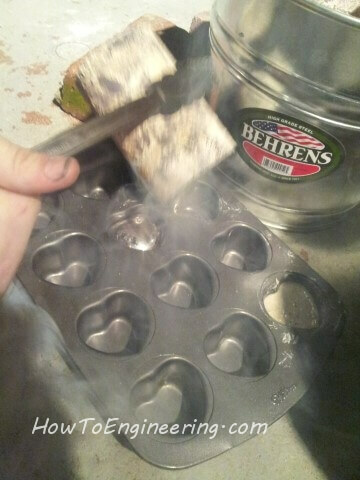 Make this from near the top, downward at a 30 degree angle so the melted aluminum can not spill out. get 4″ u bolts for the handles, I also added chain to mine. This will be 1/2 the recipe of above. 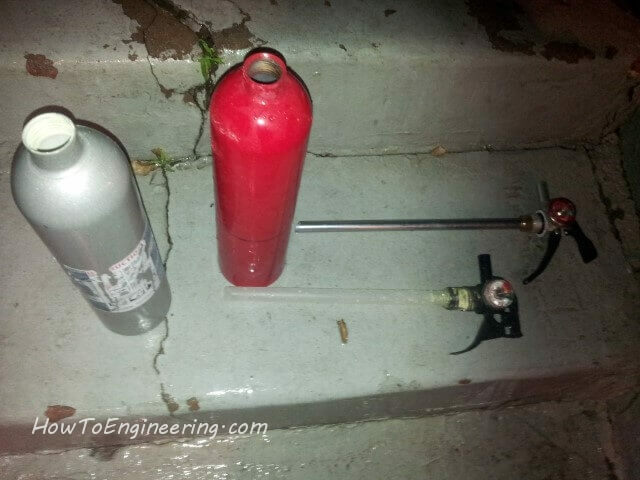 Pour into the wide container and put a fire extinguisher or crucible in the middle for a hole to drop cans through. 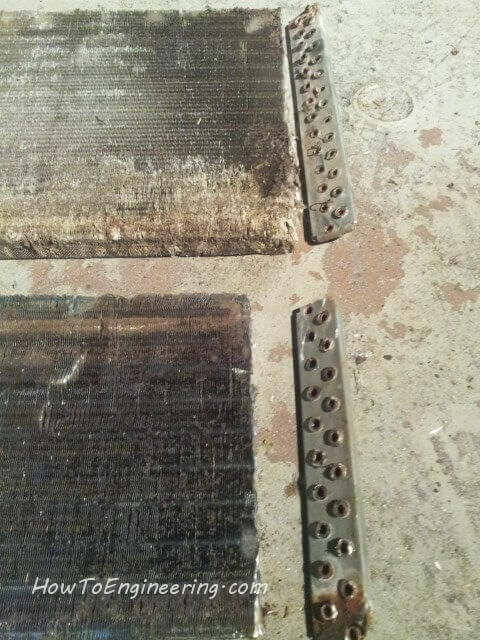 Add in the u bolts and hold in place to dry. (I used metal wire to hold it in place). 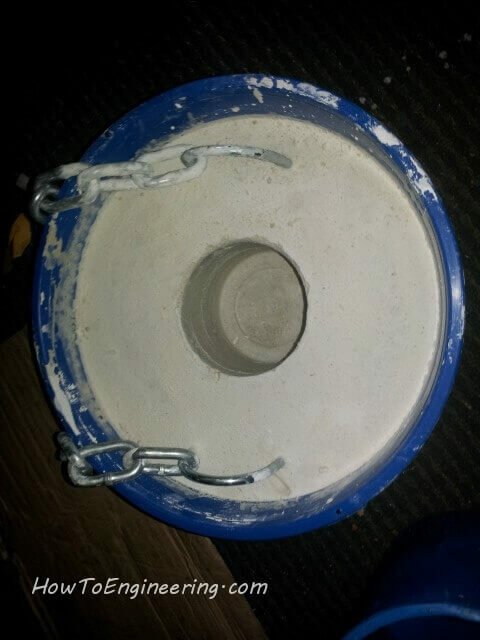 This is the casting of the kiln container. 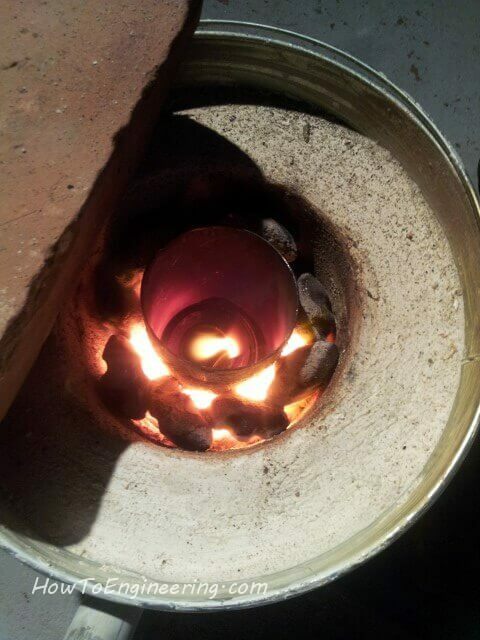 This will hold the coals, and crucible of aluminum. 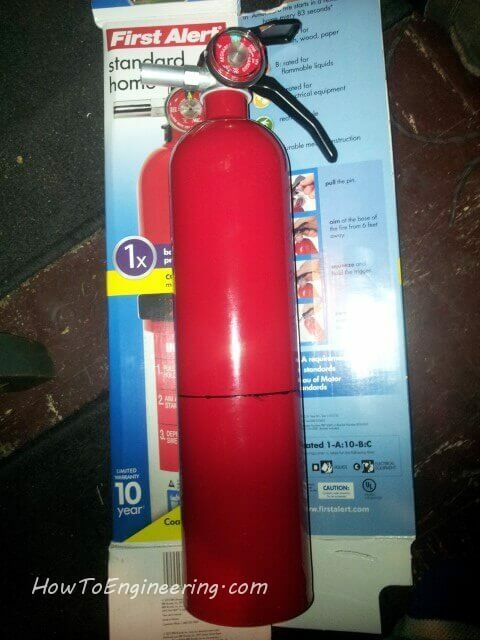 Make sure you get a fire extinguisher made of steel! use a magnet, if it sticks its steel! I only need the left one for a crucible. 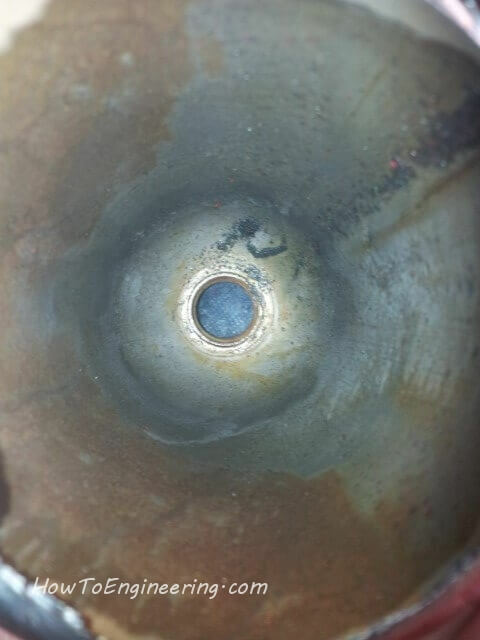 A view inside the crucible. 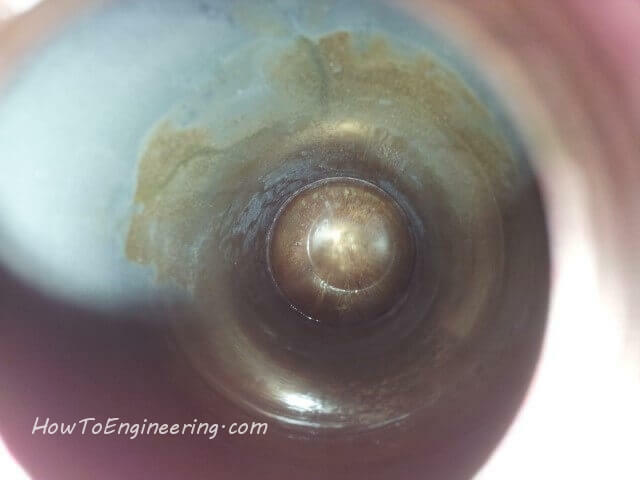 A view inside the other half. A test fit of everything. 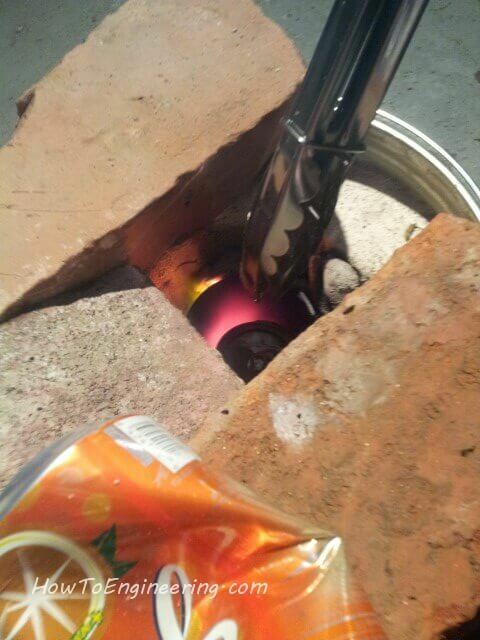 I use a propane torch to ignite the coals. 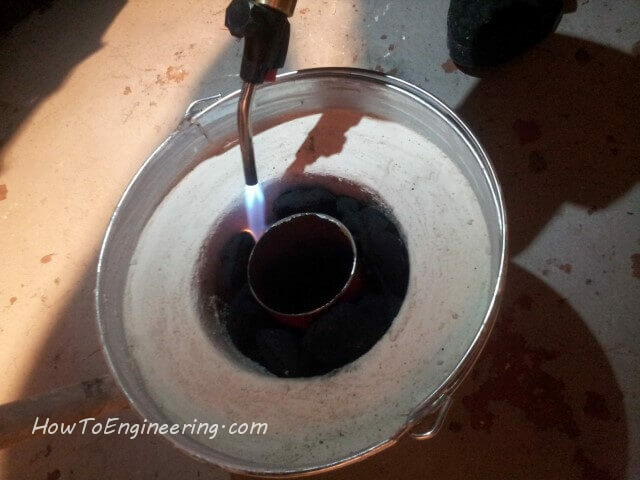 Kitchen tongs are great for putting the cans in, mixing up the aluminum and removing slag. Now that’s quite a bit of aluminum. 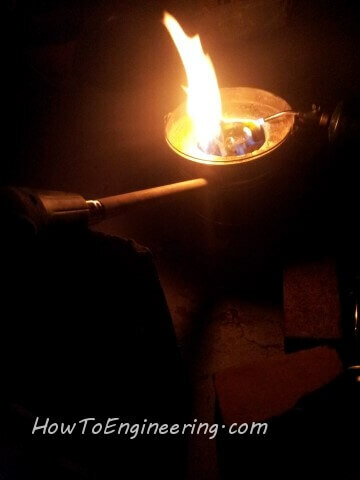 Pour the molten aluminum into a mold. 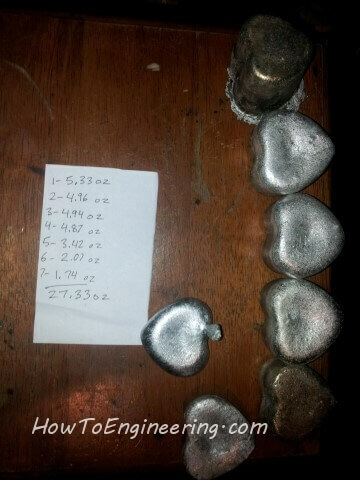 This is how much weight in pure aluminum I ended up with. 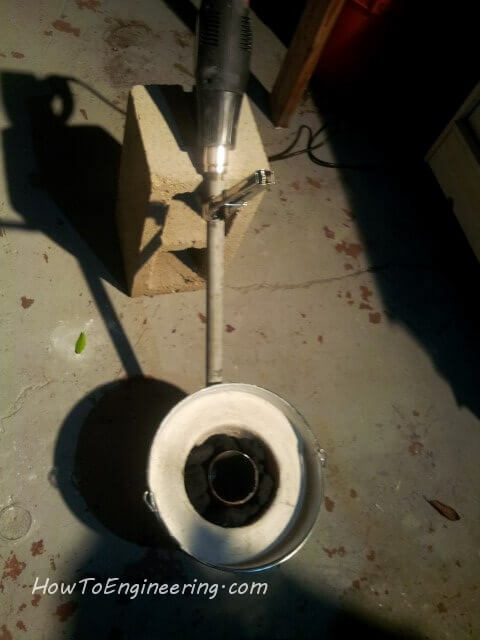 Another, cheaper source for crucibles are propane cylinders… but EXTREMELY dangerous to cut open. 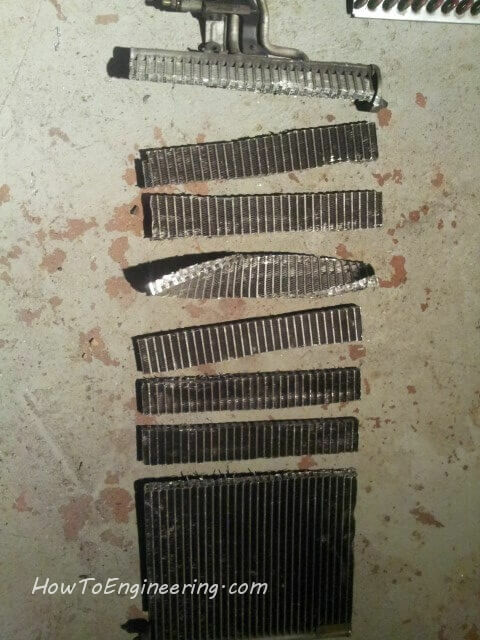 Another source for aluminum is old radiators. Its nice to relax at night with buddies and a fire. 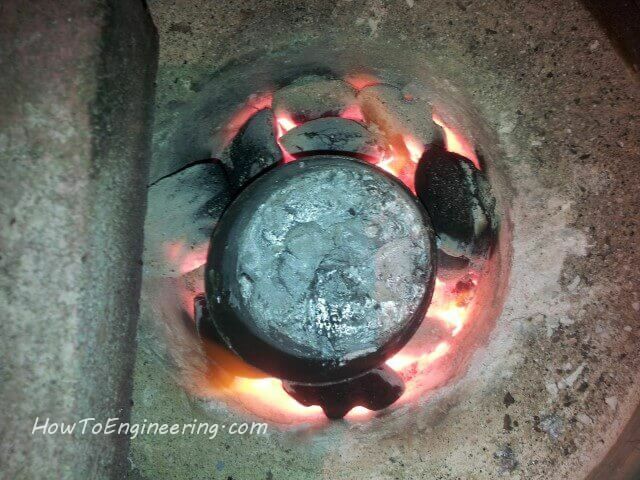 Learn how to make a Temperature Controller for the smelter!